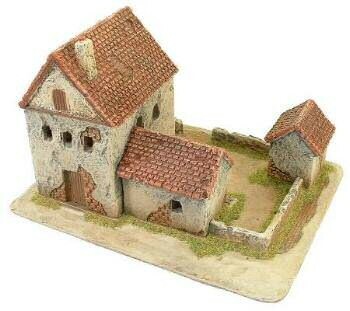 I'm struggling to find 15mm resin Italian buildings. In particular, I'm looking for two story stone farmhouses that look roughly Italian. It seems miniature building authority used to carry some, but they don't now. The best seemed to be from Table Top art. They still sell one which looks great, but they only have one and it is one story. They used to sell this one which looks perfect, but I can't find it anywhere anymore. Bonus for intact and destroyed variants. 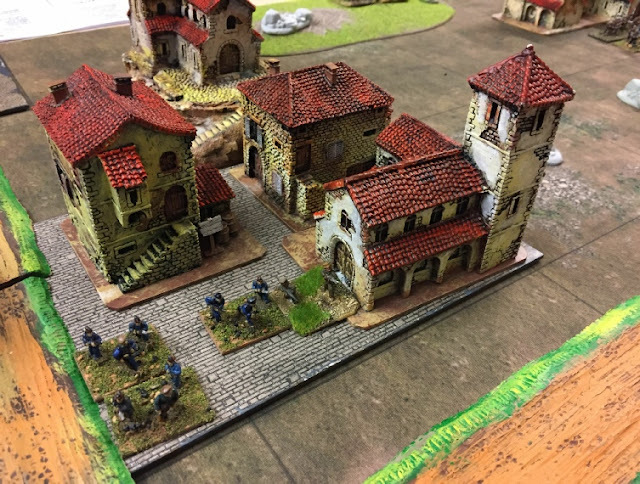 Miniature Building Authority made, in my opinion, the best 15mm Italian buildings, including some gorgeous two-story farmhouses. Unfortunately, they discontinued them after a very short period and no one has taken up the molds since. I have to agree that MBAs sadly defunct Italian range was probably the best out there. Does anyone know who might still carry MBA's Italian range or anyone who is willing to part with it? Do you have any pictures of the SHQ buildings? I couldn't find any on their site. Yes fp , those are ones on an SCW game I put on. In my opinion they are the best ones (others disagree, no problem). 7 in the range. They were originally nade by the DRUM. I agree the SHQ/Drum ones are very nice ( I have them). They are unfortunately very small compared to everyone else's, almost 10mm scale. Fixed Point, I am still hoping that MBA sells the molds and someone continues them… unfortunately, no word from MBA to that effect. The old Drum buildings, as Martin says, are very nice if you can find them. I believe MBA had the models made for them in China, they have no molds to sell. Guess someone else could contract with whoever did them for MBA. airfix makes 2 italian houses. Why are so many 15mm Italian lines out of print? There are very few options. I guess Italian/Spanish campaigns aren't popular enough? The list of options for 15mm does seem to be extremely bare.